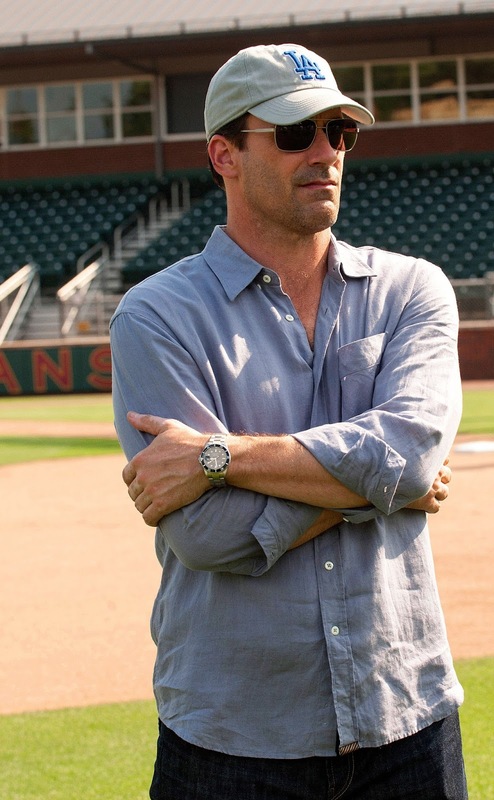 Jon Hamm is best known as Donald Draper on the mega-hit TV show, Mad Men, which is just wrapping up its seventh season. 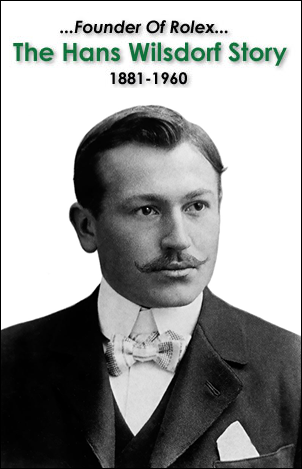 Ironically, Jon Hamm also played the role of my namesake Grandfather, Jake Ehrlich Sr., in the movie "Howl". 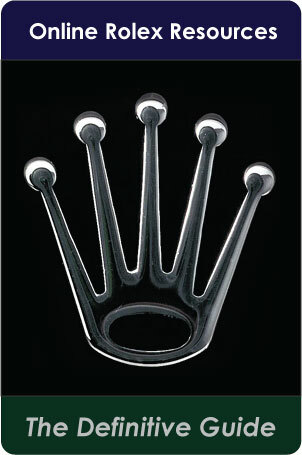 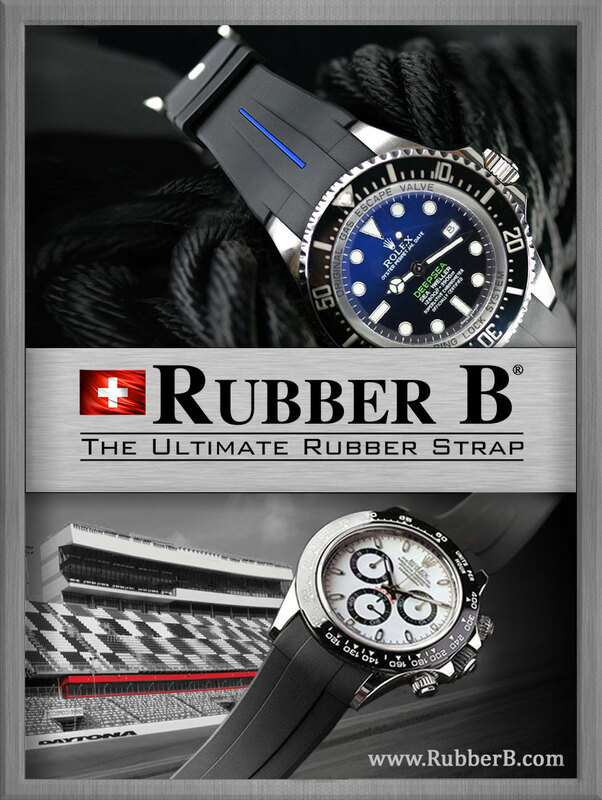 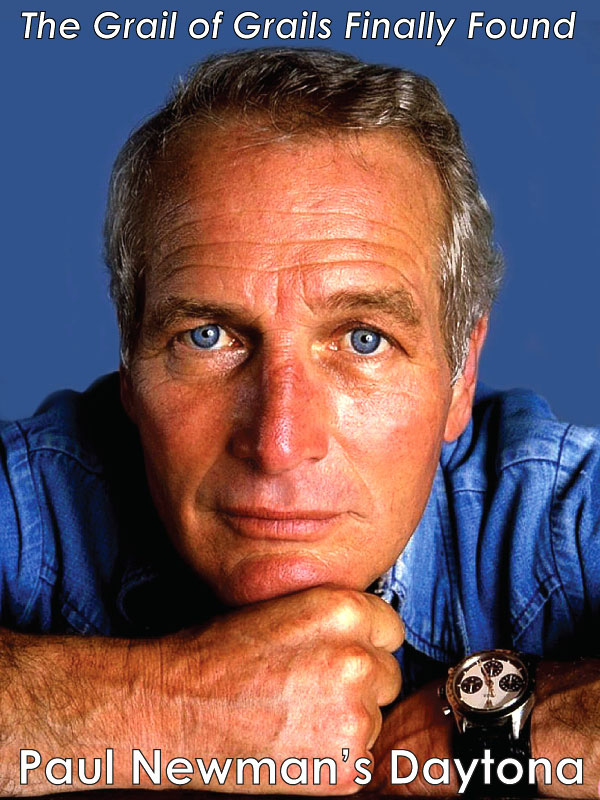 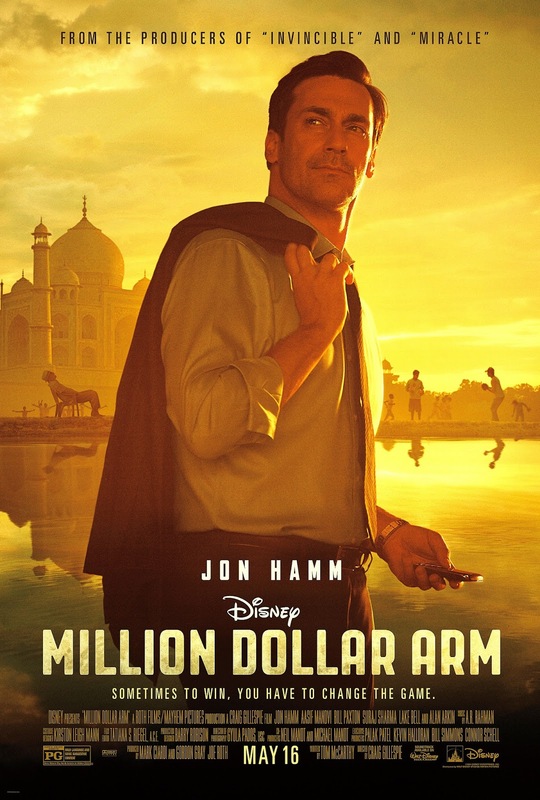 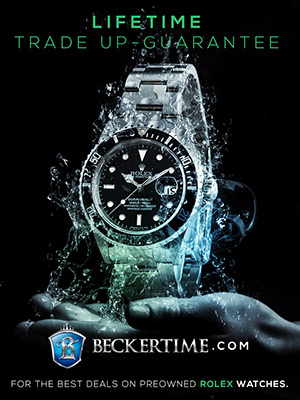 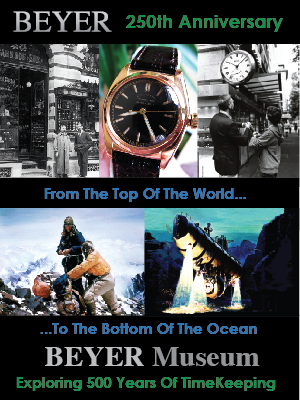 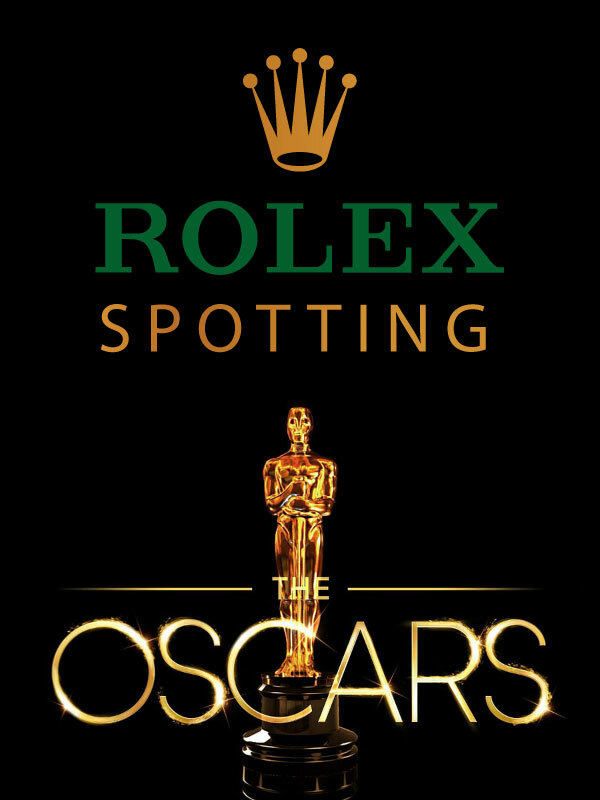 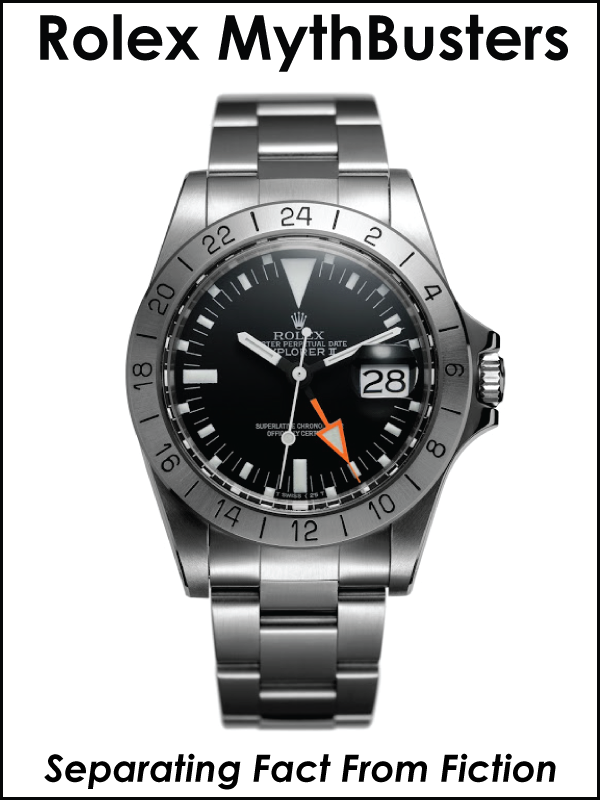 Today Jon Hamm is considered to be the top actor in Hollywood, and he is just coming out with a new movie produced by Disney named Million Dollar Arm, and in his role he wears a stainless steel Rolex Submariner as seen in the movie poster below, along with the other photos from the movie. 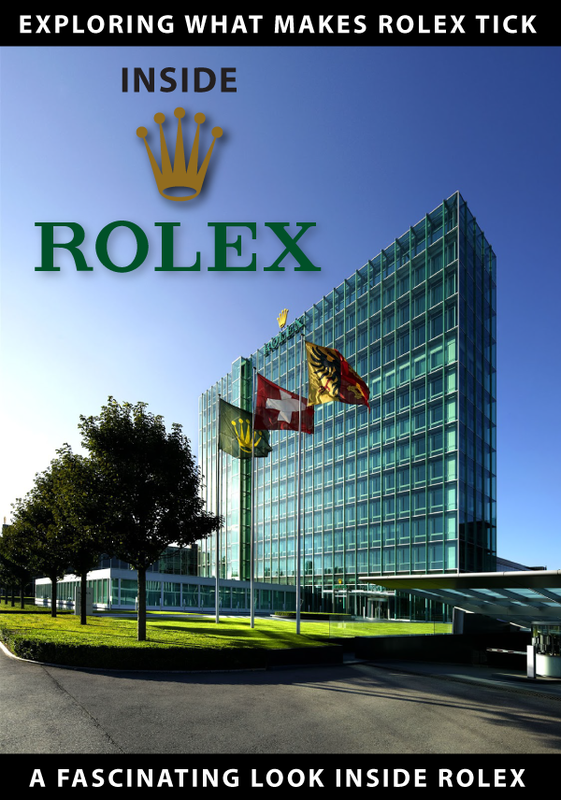 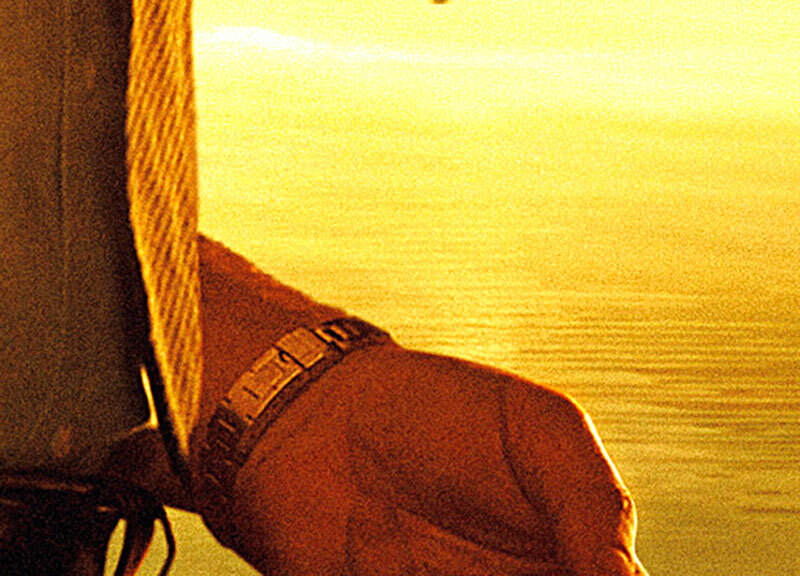 In the photo below, which is a zoomed-in screen grab from the official Million Dollar Arm movie poster, we can see the Rolex Oyster Bracelet with the flip-lock. 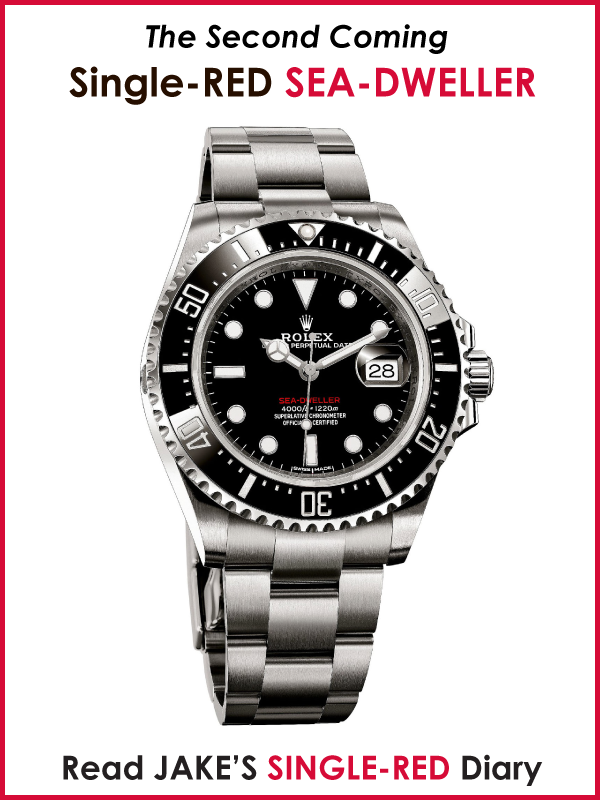 I don't know if I am hallucinating but it looks like Jon Hamm is wearing an LV Submariner with a black bezel insert. 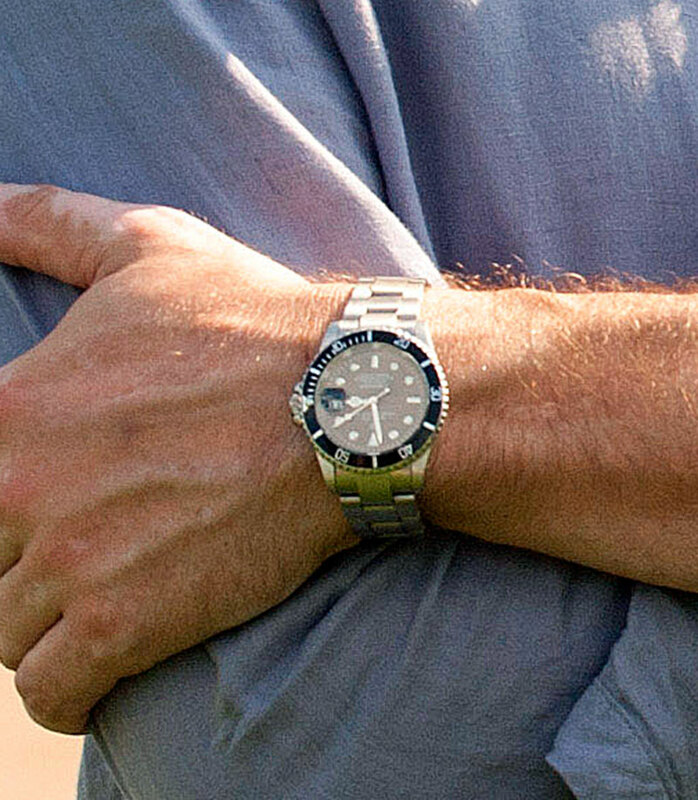 Jon Hamm is the star of Mad Men, and plays Don Draper, which is one of the most successful TV shows in history, and in the past I documented how he wears a Rolex on and off screen. 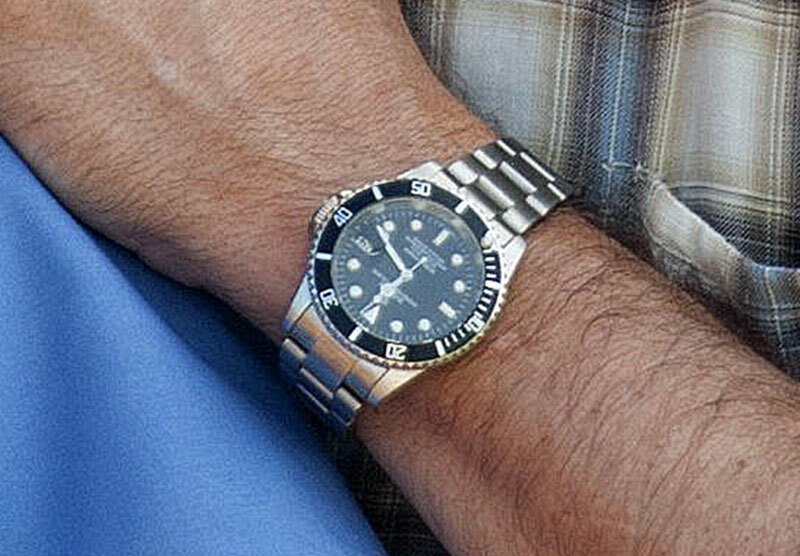 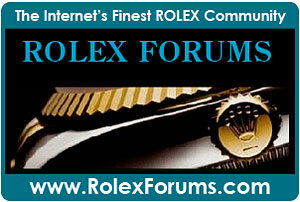 The photo below shows Jon Hamm as Don Draper, sporting a Rolex Explorer. 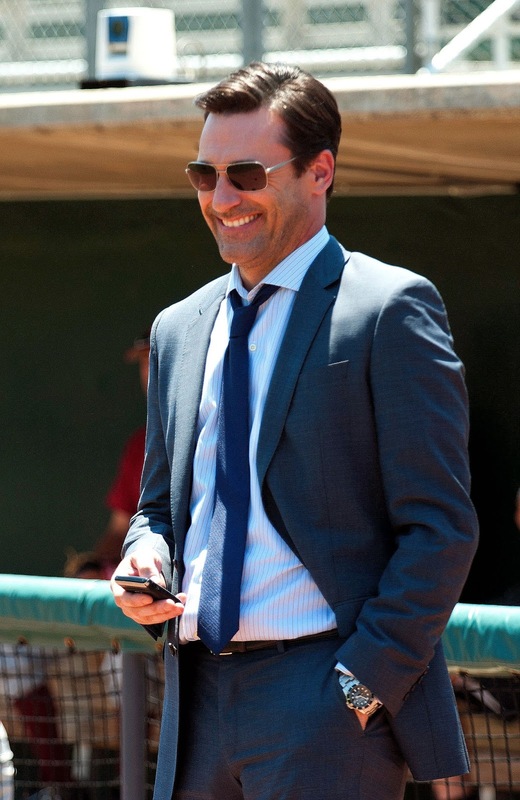 I just had an epiphany when I was looking at this photo of Jon Hamm. 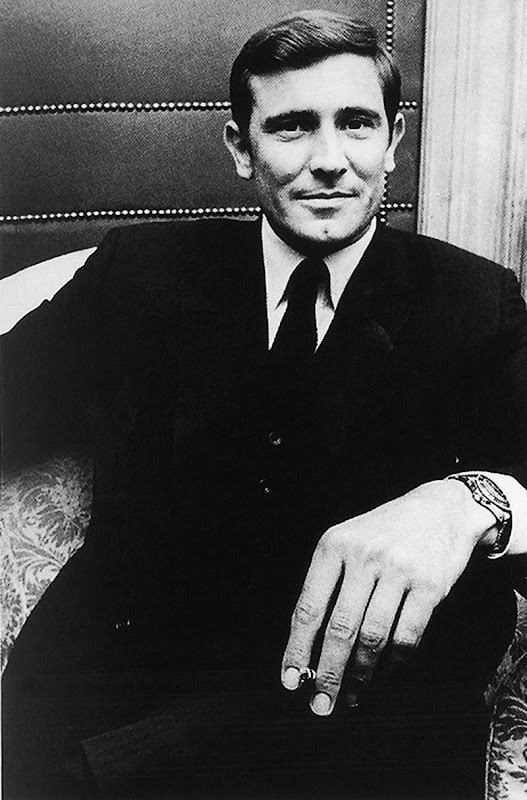 He looks like James Bond. 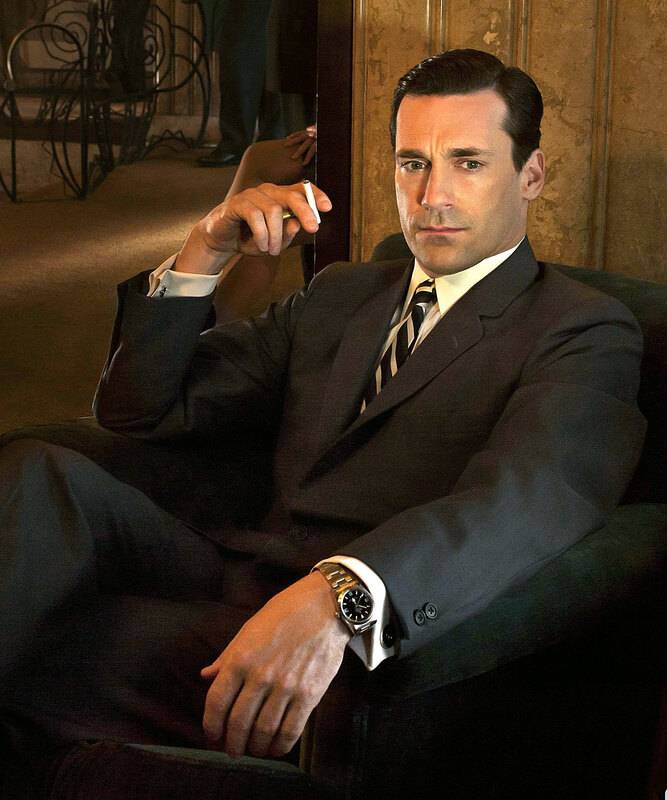 Specifically Jon Hamm reminds me most of George Lazenby, playing James Bond.